For any business who wants to boost their success online, SEO is a vital part of their digital marketing. As with most things in life, it is almost impossible to make something work effectively without understanding firstly how it works, and secondly having updated information about how effective it is being. And this is where Google webmaster tools come in. The advanced Google webmaster tools give you access to all the information that you might need to understand the state of your website in terms of SEO, giving you the data that you need to be able to understand the traffic which you are – or aren’t getting. There are a number of features within the Google webmaster tools for traffic and SEO, giving you the power to understand what is and isn’t working and set about improving your website’s SEO. The first thing to remember when working with Google webmaster tools is that there is a ‘Help’ section – and it is very good, giving updated versions and links to suggested help articles. If you want a really good understanding of a particular feature the ‘Help’ section is excellent. 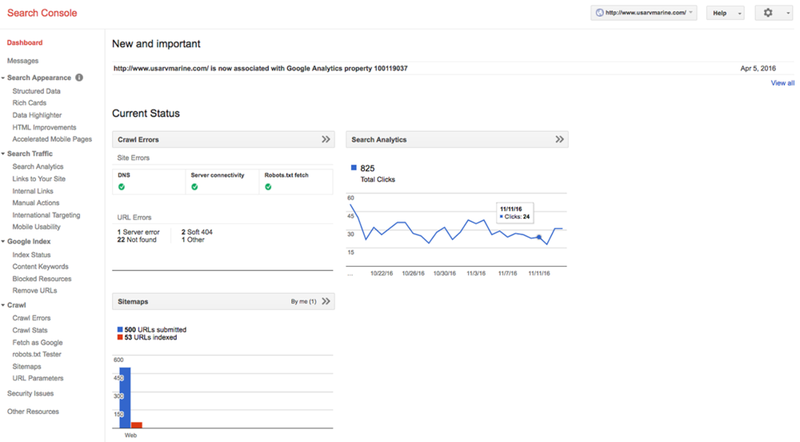 Search Analytics Report – Tells you how often your site is appearing in the Google search results. You can filter the data to specify the date of the search, the device it is being searched on or what search query was used. This can help you to understand patterns of how and why people are coming to your site. The Google webmaster tools Structured Data reports not only confirm that Google is picking up your structured data, you can also use it to spot mistakes and see what is being the most and least effective. HTML Improvements – Can help you to improve how your listing looks on a Google search result. It can highlight when you have duplicate content and also if you have problems with keyword optimization. Links to your site – This feature tells you which websites have links to which pages on your site. Back links play a vital role in SEO so it is important that you get this one right. It can also tell you which links are the most popular so that you can continue to work on getting better links. Mobile Usability – Shows you where you have mobile usability issues on your website. Crawl Stats and Crawl Errors – Will help you to see if you have any problems with crawling. Fetch as Google – Lets you check that Google can read your page. Sitemaps – Sitemaps enable you to tell Google what pages you want to be crawled and indexed. Using Google webmaster tools can give you an excellent all-round evaluation of how your website is performing in terms of SEO, which in turn is vital for the online success of any business. By continually monitoring the data on your site you can pick up and fix issues, meaning that you get the most effective results for your business.